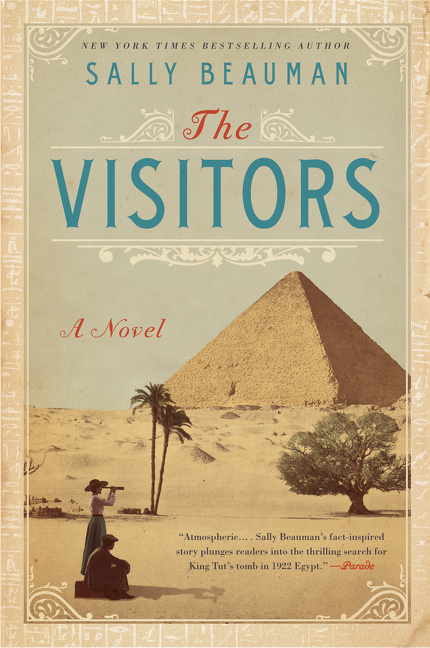 I was so taken with this novel, a kind of coming-of-age story set in the 1920s among Egyptologists, English peers, and the monied set. In some ways, this novel reads as two or three different kinds of books -- for good and for bad -- as our 11 year old narrator goes from glamorous Egypt back to the UK where she squares off with a new tutor-turned-stepmother before looking back on her life as an adult during World War II. But the voice is so compelling I couldn't stop reading. The paperback has just been released by Harper Paperbacks, and I'm thrilled to be able to offer a giveaway copy. This is a beefy read at 544 pages, but just gripping. I'm thrilled to offer a copy of The Visitors to one lucky reader. To enter, fill out this brief form. Open to US readers only, ends 7/24. See my Giveaway Policy for complete rules. This book sounds interesting! Thanks for offering a giveaway! This does sound good! And different, being a coming of age story set in a time and place I haven't read much about before. Thanks for the giveaway! I recently got a copy of this as a birthday present - so I'm not entering the giveaway - and you have moved it up my reading stack!